Why users deleted Uber in response to Trump's executive order. 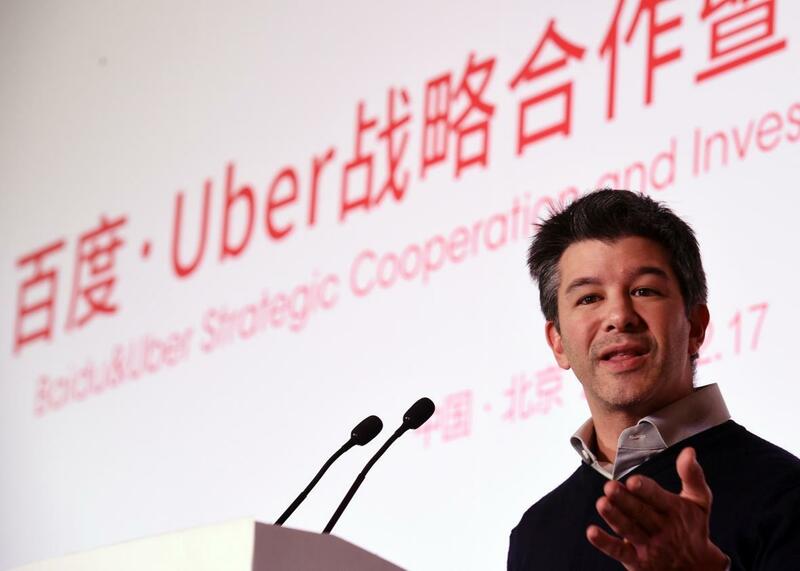 Uber CEO Travis Kalanick speaking in China, just one of the many countries that have not denied him entry based on his citizenship. Drivers stand in solidarity with refugees coming to America in search of peace and safety and with those who are simply trying to return to their homes here in America after travelling abroad. We stand in solidarity with all of our peace-loving neighbors against this inhumane, cruel, and unconstitutional act of pure bigotry. Hundreds of users took his advice, tweeting screenshots of their deleted accounts. (O’Sullivan helpfully linked to the company’s “Delete my Uber account” page.) In the “Share Details” field, users told Uber why they were leaving, with those reasons including countless variations on “Stop colluding with fascists,” plus “This aggression will not stand” and the complete script to Jerry Seinfeld’s Bee Movie. We’re sorry for any confusion about our earlier tweet—it was not meant to break up any strike. We wanted people to know they could use Uber to get to and from JFK at normal prices, especially tonight. [W]e’ve taken the view that in order to serve cities you need to give their citizens a voice, a seat at the table. We partner around the world optimistically in the belief that by speaking up and engaging we can make a difference. Our experience is that not doing so shortchanges cities and the people who live in them.